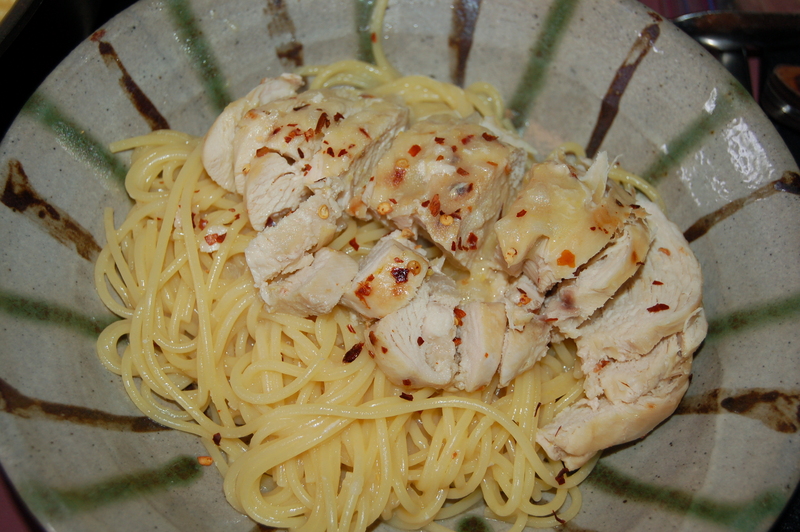 Pollo al Limone e Spaghetti (Lemon Chicken with Equally Lemon-y Spaghetti !) serves 6 | Crappy Kitchen - Good Dinners! 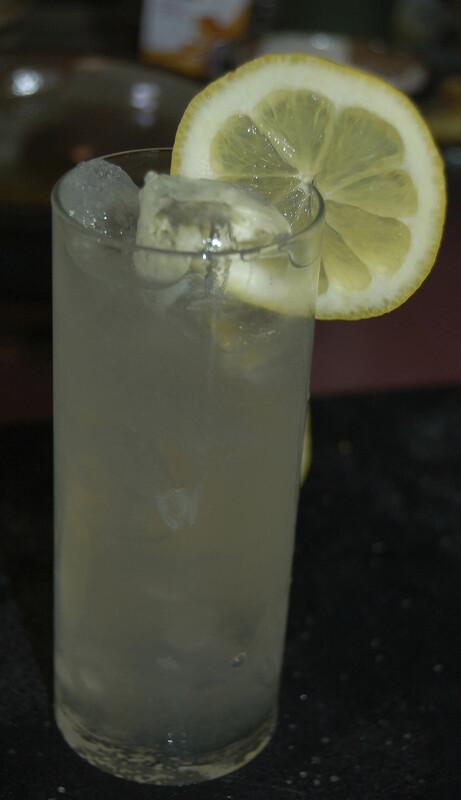 This recipe came about because of the excess of lemons in our house due to my daughter’s Lemonade Stand this past Memorial Day (Read all about it HERE). 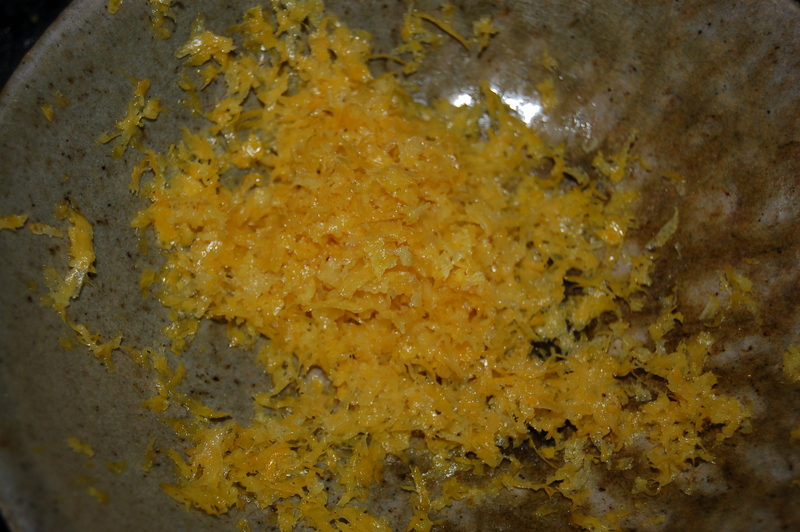 I was in no way flummoxed as to what to do with bunches of lemons, as the lowly lemon can be thrown into so many dishes. With so many however I decided that the lemon flavor would be the star of this dinner. This dinner makes great use of lemons! You may know that you can make a quick emulsion if you whip lemon and butter together. I have tasted many pasta dishes with a lemon zing, which is usually achieved by using this basic premise. 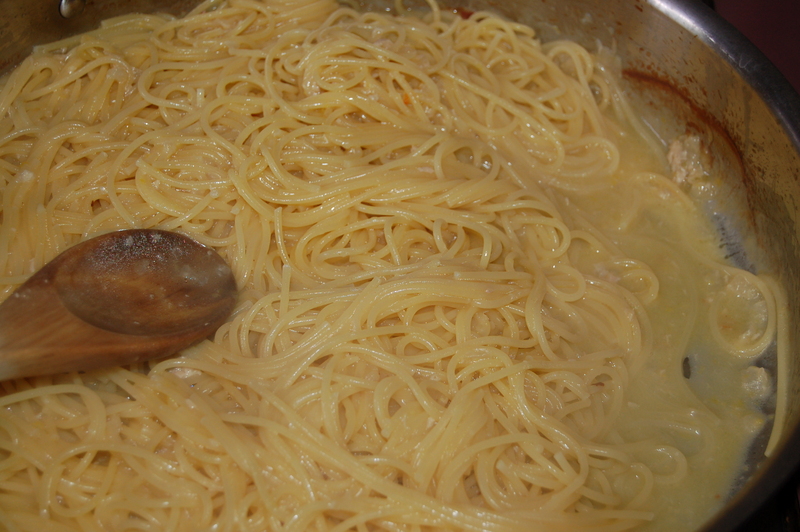 I had chicken, I had spaghetti, I had butter, and I had lemons: this dish is the result. What can I say; it will be a staple from now on! 1 – Scatter onions in bottom of big saute or roasting pan. 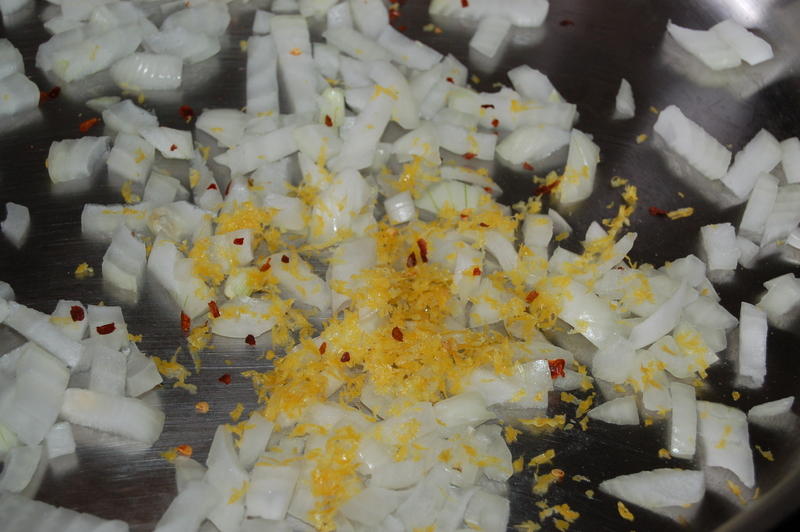 Add zest from 1 lemon to pan, the water and 1/2 tsp of pepper flakes. 3 – Remove chicken to a plate and cover loosely with foil. 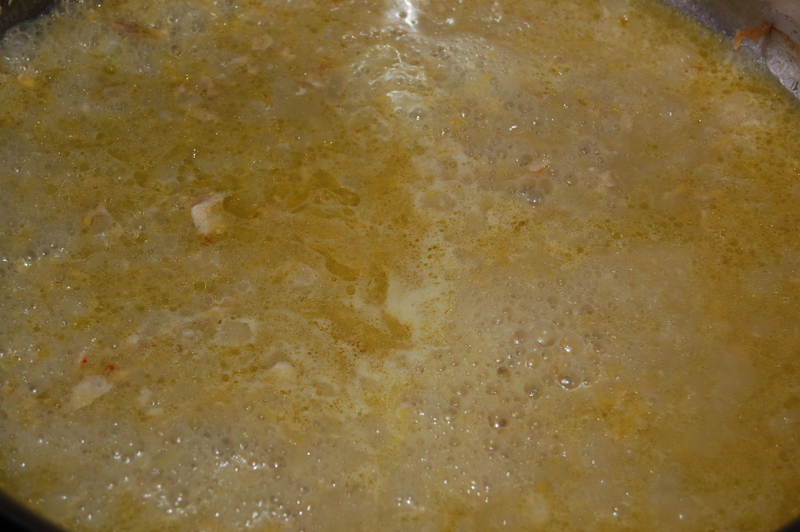 4 – Put the pan on medium/high heat and add the lemon juice and remainder of the zest. Bring to a boil and let it bubble for 1 minutes. Take off heat. 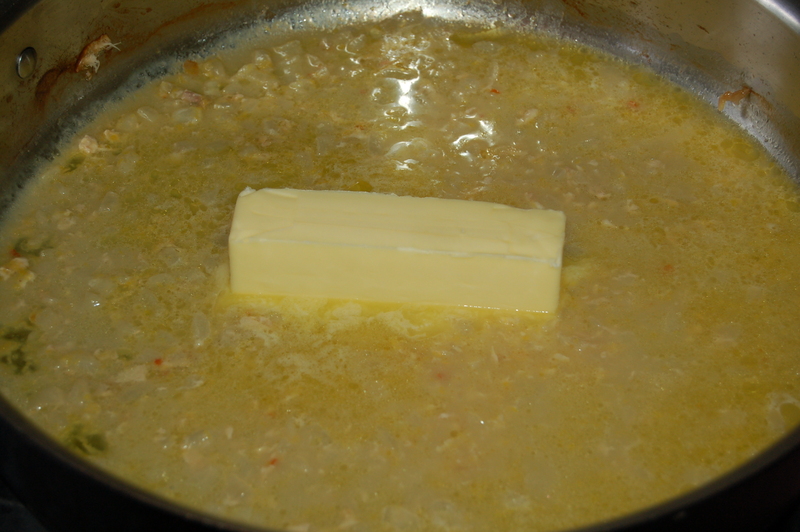 5 – Add butter and swirl into sauce until melted.Taste sauce for addition of salt and pepper and adjust according to your liking. 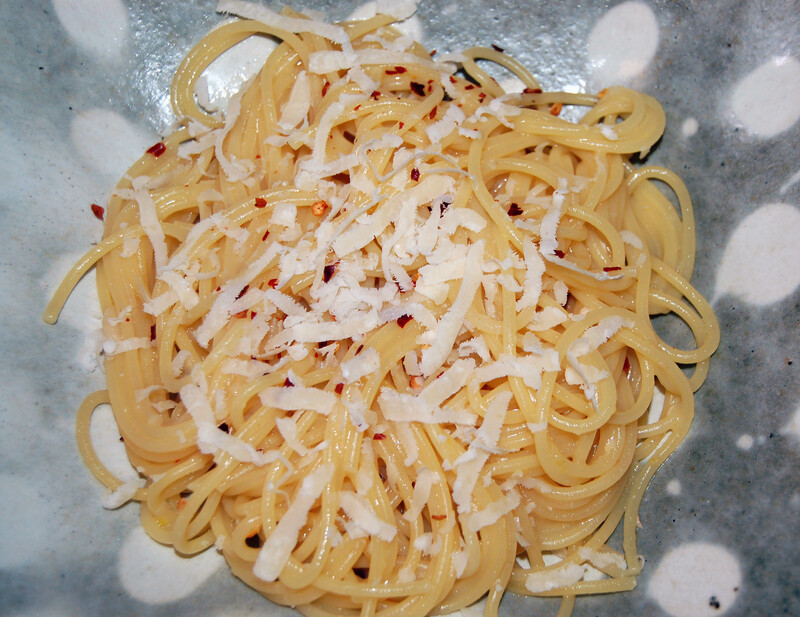 6 – Add the pasta immediately and toss everything together. This entry was posted in dinners and tagged chicken cutlets, chicken thighs, cocktail, lemon chicken, lemon sauce, lemonade stand, lemoney pasta, pasta with lemon sauce, pollo al limone, roast chicken, savory lemon sauce, summer cocktail. Bookmark the permalink.